Jason Hartman starts off today’s 10th episode taking a look back at this weekend’s Profits in Paradise event as well as the Venture Alliance Mastermind experience with his guest Pat Donohoe. The two discuss the importance of asset protection and the impact of high tax jurisdictions. 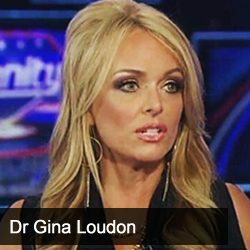 Then Jason speaks with Dr. Gina Loudon, co-host of America Talks Live on NewsmaxTV, certified hypnotherapist, founding writer at Breitbart and official Trump campaign surrogate, spokesperson to Donald Trump’s 2016 Presidential campaign and member of the President’s 2020 Media Advisory Board. The two discuss the political divide that’s present in today’s society and whether it’s worse now than it’s been in the past. They also discuss the 3 types of people in the world and how President Trump is one of the most misunderstood people on the planet. [19:18] Are we really divided more now or is it all just sensationalized?